Like a jar of Oreo Peanut Butter (not a thing, but it should be! 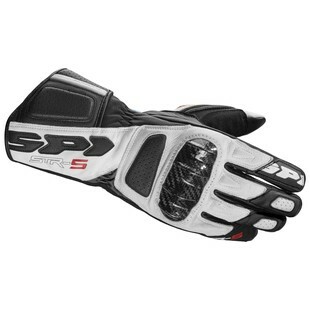 ), the Spidi STR-5 Gloves combine two of the best things; motorcycle race-grade coverage, with a the comfort, utility, and price point of street gloves. In making full use of the benefits of high-fit goat leather, the Spidi STR-5 Gloves are at the same time rugged, supple, and highly tactile. Augmenting the goatskin construction, the STR-5 gloves employ microfiber details to round out the outer shell. Additional features of the Spidi STR-5 motorcycle gloves include Carbon Fiber knuckle protectors for a high-degree of protection in the event of a crash. This protection is further improved with added padding on the back, side and palm of the hand in order to add increased defenses upon impact. From the fridge to the freeway (or the racetrack for that matter), combining two really good things tends to be pretty cool. For the Spring of 2017, that is exactly what Spidi did with the STR-5 motorcycle gloves.